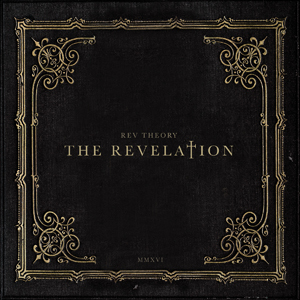 REV THEORY is back with their fourth studio album, The Revelation, which is set for a September 9th release. A striking lyric video for the scathing, brand-new track, “Guns” is available for streaming below. Stay tuned to either https://www.facebook.com/revtheory or http://www.revtheory.com for all additional information and up-to-date news. Pre-Order Bundles Available Exclusively HERE. REV THEORY has released three studio albums: Truth Is Currency (2005), Light It Up (2008) and Justice (2011), as well as two EPs: Acoustic Live From The Gibson Lounge (2009) and Take 'Em Out (2012). The song "Voices" is currently being used by World Wrestling Entertainment (WWE) superstar Randy Orton. The song "Hell Yeah" was the opening theme song for the popular Spike show Blue Mountain State and the song "We Own The Night" was the main theme song for the WWE Network reality series Breaking Ground.